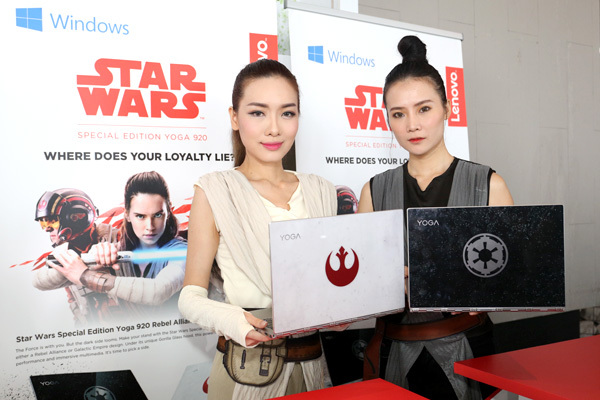 Lenovo invites Malaysian Star Wars Fans to choose their side! Lenovo, the world’s leading PC manufacturer, today announced that its highly anticipated, limited edition Star Wars-themed Yoga 920 is coming to a galaxy near you. Coming in two versions with visually striking and head-turning Gorilla® Glass covers, the Star Wars Special Edition Yoga 920 will be available in Malaysia in December. 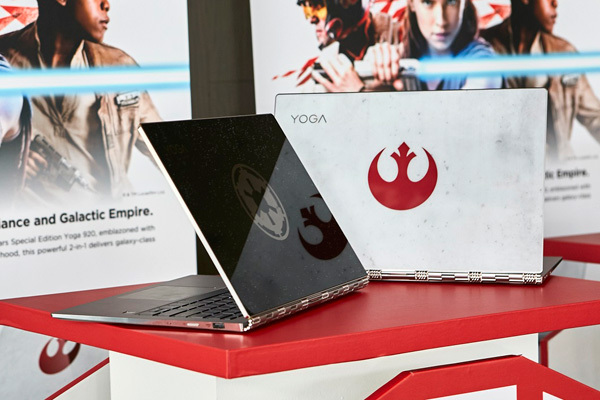 A white version of the Yoga 920 features an etched logo of the Rebel Alliance, while those who prefer to be the villains can buy the black version etched with the emblem of the Galactic Empire. The slim and sleek Star Wars Special Edition Yoga 920 is renowned for its intricately-tooled watchband hinge. It has a beautiful all-metal unibody design weighing at just 1.37kg, and a near edgeless 4K display, making it ideal for immersive entertainment and unparalleled productivity. And an optional Lenovo Active Pen 2, which enables pen-on-paper precision — with 4,096 levels of pen sensitivity — with no discernible lag. But that’s not all, Lenovo will be organizing a contest for 15 lucky Lenovo and Star Wars fans in Malaysia will have a chance to win one of the Funko POP Star Wars Figurines by taking part in an online contest. Terms and conditions apply. Visit Lenovo Malaysia’s Facebook Page for more information. 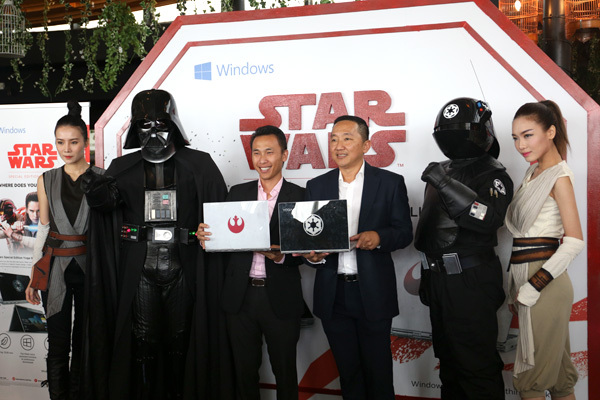 “As a proud pioneer of the 2-in-1 convertible laptop, we are excited to introduce the latest member of our award-winning Yoga Family series to customers and Star Wars fans in Malaysia in time for the festive season,” said Khoo Hung Chuan, General Manager of Lenovo Malaysia and Singapore. 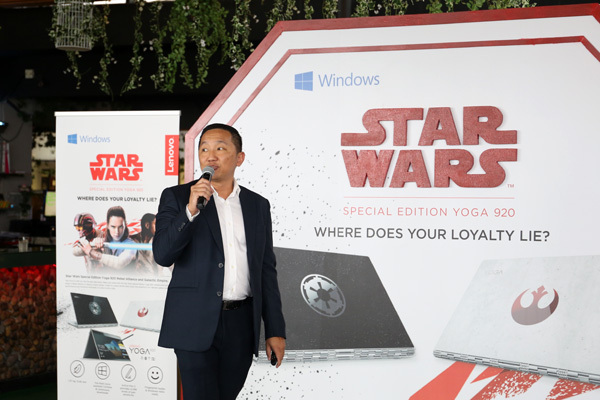 Price for the Star Wars Special Edition Yoga 920 starts from RM8,888 with the device available for purchase at Lenovo Exclusive Stores and Lenovo Multi Brand Stores, available in December. It is also available online at Lenovo’s Lazada Store in Store. Price for the Lenovo Yoga 720 starts from RM5,599 inclusive of GST, available for purchase at Lenovo Exclusive Stores and Lenovo Multi Brand Stores. It is also available online at Lenovo’s Lazada Store in Store. Price for the Lenovo Yoga 520 starts from RM2,799 inclusive of GST, available for purchase at Lenovo Exclusive Stores and Lenovo Multi Brand Stores. It is also available online at Lenovo’s Lazada Store in Store.